Government proposals to introduce tougher sentences for those who kill on the road have overwhelming support from road users. In 2015, 122 people were sentenced for causing death by dangerous driving, with a further 21 convicted of causing death by careless driving whilst under the influence. 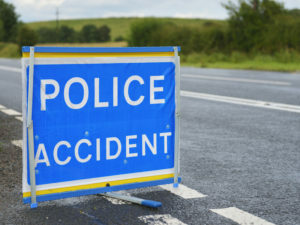 A survey by IAM RoadSmart of just under 2,000 road users found nearly 80% agreed there should be a new offence of causing serious injury by careless driving. Some 56% of those who agreed said the maximum penalty should be between one and five years in prison; 44% went further and felt the maximum penalty should be more than five years. Under new government proposals, dangerous drivers who kill could face life sentences rathe rthan the current maximum sentence of 14 years. This includes drivers causing death by speeding, street racing or while on a mobile phone. The consultation, which finished on 1 February 2017, also set out that offenders who cause death by careless driving whilst under the influence of drink or drugs could also be handed life sentences. Sarah Sillars, IAM RoadSmart chief executive officer, said: “It is very clear that in the minds of many of the UK public, the punishment often does not fit the crime – and British people think the law should reflect that in a far more fitting and appropriate way. “We want to see the current guidelines applied consistently by the courts first. In practice the current maximum of 14 years in prison for causing death by dangerous driving is rarely used which is deeply upsetting for the families of victims. There is no guarantee a higher maximum would be used either.